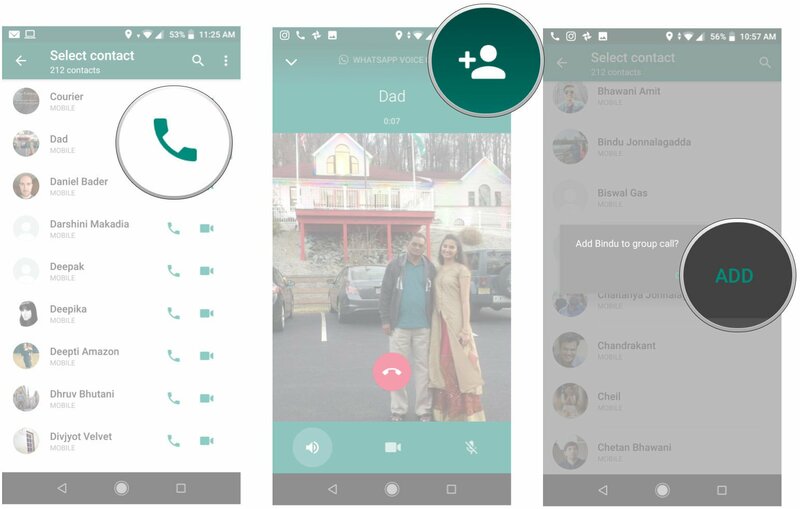 WhatsApp's new feature allows group voice and video calls! Have you tried WhatsApp's group calling feature? The new feature is available across the world on iOS and Android devices. According to director Mubarik Imam, WhatsApp sees over two billion minutes of calls per day. -	You can add up to four (4) participants in Group Video call. -	Only the person who initiated the call can add other participants. -	Only one person can be added at a time. So when third participants accept the call, after that you can add one more participants. -	Select the dialer icon at the bottom right corner. -	From within the one-on-one call, tap the add participant button on the top right corner. -	Select the second participant you'd like to add to the call and then hit the Add button. - Enjoy the group chats!